What a difference a week makes. Last Friday not long before I captured these images, I was sobbing on that mess-covered bed for a bit. 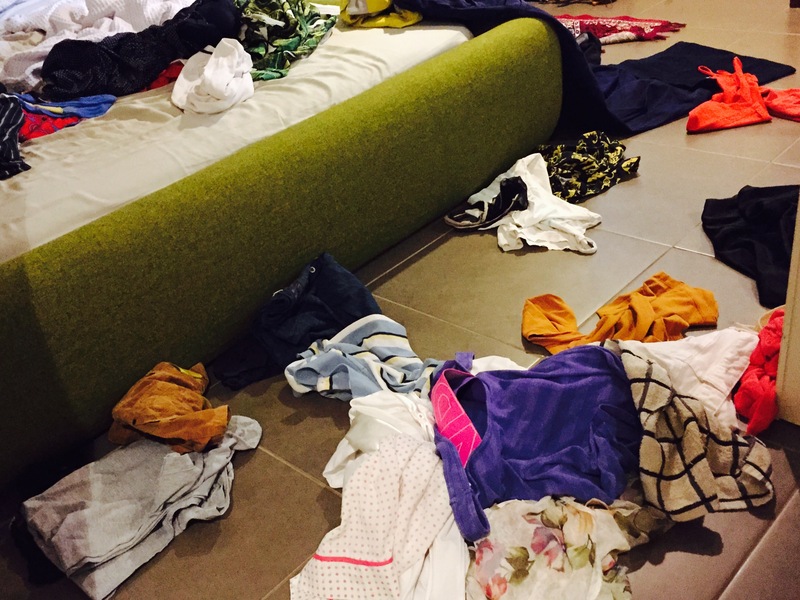 It was the end of the day, hubby still hadn’t returned from work and it was 2 hours later than usual, and my kid would not stop throwing every item of clothing we owned on the floor or at me. I was over it. When I’d let off enough steam with a good cry, I looked up at my darling toddler standing next to me, he looked down at me ever so sweetly, almost with empathy…and threw a sock at me. Hm. But you know what? I took these photos. Some part of me knew that something significant was happening. It was almost uncontrollable, so unreasonable, the desire was so deep within him to keep doing what he was doing. I just needed some time to figure out what it was. And sure enough as the week has rolled on, there have been clues. Although the kid still threatens to throw all manner of objects at us, he will now gently pass items to me if I just reach out my hand (when believe me my instinct is to protect myself, shout “no!”, and try to grab his weapon of choice!). Perhaps he’s met his need for throwing in that great big mess. Perhaps he’s felt how powerful his arms and his will can be, and he feels satisfied. Perhaps he’s able to explore other ways of transferring objects now that he has throwing out of his system. The kid also seems to understand ‘mess’ now that’s made the Grandaddy of all messes! He tells me “mess” when he sees some disorder around the house. He doesn’t seem to need to interfere with it, it’s enough to tell me and know that I understand. 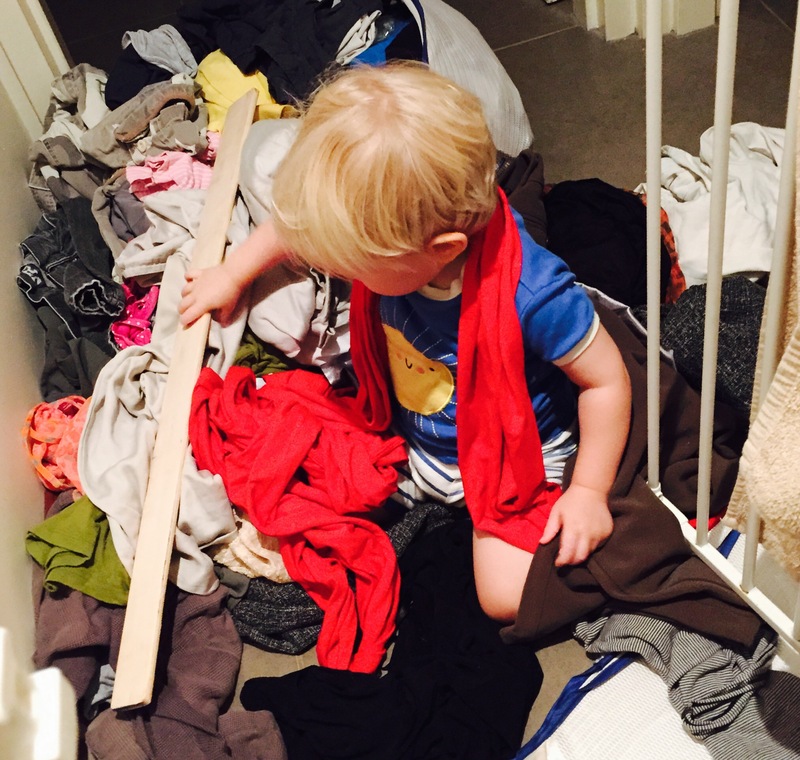 Perhaps he’s developing a sense of order inside himself, now able to distinguish order from chaos. Perhaps to do that he needed to let his idea explode with one GREAT BIG MESS!